Healthcare systems across the nation are being stressed to the max with the lack of qualified nursing professionals. This lack of qualified nurses is no different in South Dakota. With the population continuing to age and so many nurses getting ready to retire, the field is wide open for new graduates who are considering nursing as a career. Not only is it fulfilling, but it comes with job security and stability. 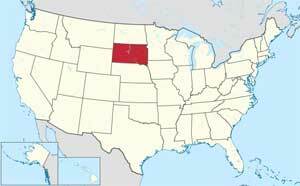 South Dakota is a compact state, so there are more available opportunities for employment. Similar to many other states, LPN careers are increasing in South Dakota. According to the South Dakota Board of Nursing, LPNs make up 16% of the nursing workforce in the state. The LPN program is one year in length and hands on experience. Once you have graduated, you will be able to take the NCLEX-PN exam and begin working. LPNs who work in South Dakota spend their days completing tasks that include taking and registering of vital signs, individual diagnostic testing, wound care, feeding and bathing. A nurse may also be responsible for performing CPR, taking patient histories, patient guidance and education, administering medications and assisting both RNs and physicians. There are ten accredited nursing schools throughout the state of South Dakota. Since there are prerequisite courses, students often choose to enroll in a pre-nursing major while they work to complete the requirements. Two options are open to students who wish to graduate with an RN degree that are recognized by the state board. You may take a two year Associate Degree in Nursing (ADN) degree program, or you may take the four year Bachelor of Science in Nursing (BSN) degree program. Either of these degree options will prepare you to take the NCLEX-RN exam. A RN in South Dakota can expect to perform various types of duties, which can include the following, on a daily basis: CPR, treating medical emergencies, inserting IV lines, administering medication and injections. They will also be responsible for accurately recording patient interactions, supervising LPNs and CNAs, performing diagnostic procedures, taking vital signs and much more. Online degree programs are gaining popularity here as they are anywhere else. There are many available online degree programs including CNA, LPN, LPN-RN, RN-BSN and BSN-MSN. This is an attractive option for nurses who wish to further their careers while continuing to practice. It is recommended that you check with the Board of Nursing to make sure that your program choice is properly accredited.